Business is faced with a critical paradox. By 2040, the U.S. Energy Information Association (EIA) projects that global energy consumption will increase by 28%. Continued digitization, rising population, concentrated urbanization, the transition to electric vehicles, and economic development across India, China, and Africa will help to drive this growth. At the same time, the mounting threat of climate change requires that we work as quickly and as urgently as possible to mitigate global warming, and keep overall warming to no more than 2 degrees Celsius over pre-industrial levels. The combustion of fossil fuels for energy production—for electricity, heating, cooling, and transportation–is the primary source of the atmospheric greenhouse gases responsible for global warming. Studies indicate that, to avoid global temperature rise beyond 2 degrees Celsius, it is necessary to keep the majority of remaining fossil fuels in the ground. But how are we to meet global energy demand while simultaneously reducing global warming? The answer, of course, can be found in clean, renewable forms of energy generation. Renewables and other clean technologies—wind power, solar power, geothermal power, hydropower, battery storage, fuel cells, biofuels, and more—have grown dramatically in adoption in the past 10 years. This growth has been driven in large part by falling cost. Unlike fossil fuels—which must be extracted, shipped, processed, and combusted to generate energy—cleantech is exactly that: technology. Like all technology, as demand increases and product efficiency improves, costs fall. A prime example is wind power. Between 2010 and 2016, the global weighted price for onshore wind fell from $.085 to $.07/kilowatt-hour (kWh), with some auctions as low as $.03/kWh. IRENA concludes that onshore wind power is now one of the cheapest sources of electric power, anywhere, and that by 2020, all renewable technologies will be at cost parity with fossil generation. For companies facing the energy-carbon paradox, this is welcome news. By using renewables, and increasingly, other forms of cleantech like battery storage and electric fleets, organizations now have the potential to save money on their energy costs while simultaneously meeting carbon reduction targets. That potential has led leading businesses across nearly all commercial sectors to pursue renewables at increasingly rapid rates. To date, 140 companies—including Schneider Electric—have joined the RE100, committing to source 100% of their electricity from renewable sources. In total, global companies have acquired over 20 gigawatts (GW) of renewable energy. 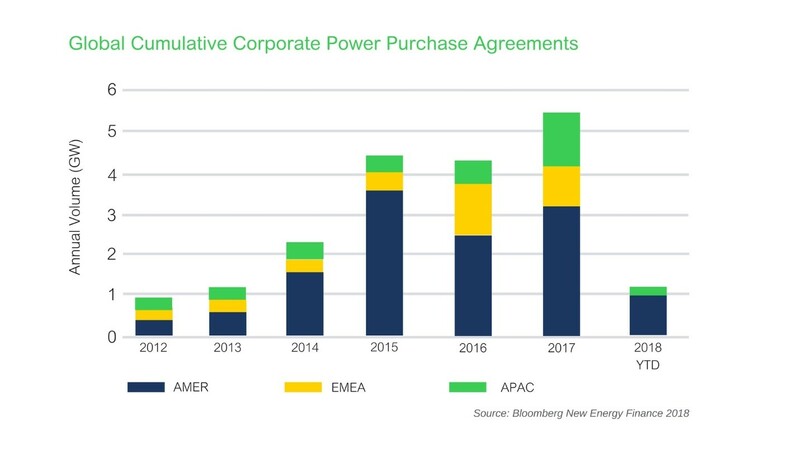 The predominant contracting mechanism for large-scale renewable energy offtake by commercial and industrial (C&I) buyers is the offsite Power Purchase Agreement (PPA). 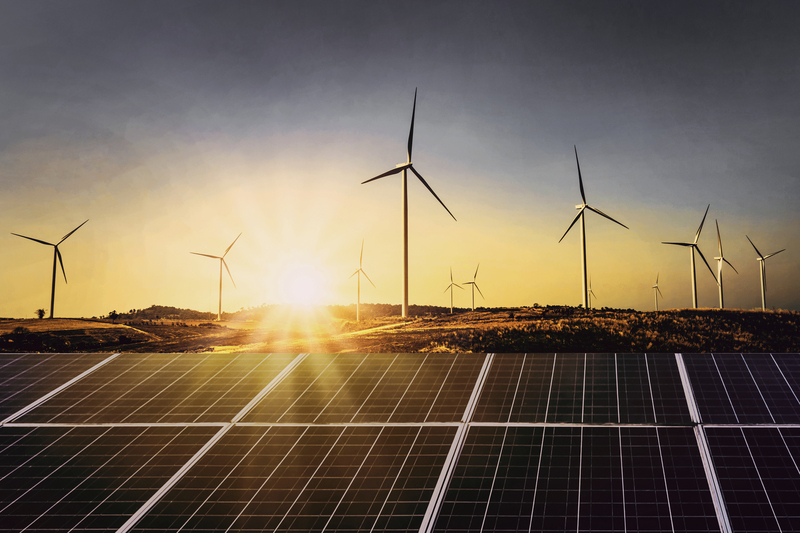 PPAs allow C&I buyers to contract directly with developers for a portion of a renewable energy project, and provide a means for businesses to rapidly scale their renewable energy acquisition. While companies also use onsite generation and Energy Attribute Certificates to meet their goals, offsite PPAs are the leading way companies can achieve multiple economic and environmental targets. Unfortunately, PPAs are not a panacea. They are not available in all markets, and due to their size and length, they require in-depth risk modeling and analysis. As PPA demand increases, however, even this is subject to change, as developers begin to provide increasing contract flexibility, and corporate buyers take advantage of a variety of contracting structures, including collaborative sourcing models. If your company is considering setting aggressive carbon reduction or renewable electricity targets, a PPA should also be on your to do list. But where to get started? The NEO Network™ is a great place to begin. A global community of organizations advancing renewable and cleantech solutions, NEO Network offers tools and market intelligence that can help companies begin to formulate a renewable energy purchasing strategy—all at no cost. We also invite you to download our new white paper, Living with Finite Resources: Strategies for Sustainable Resource Utilization, to learn more about how leading companies are utilizing renewable and clean technologies to meet their goals. Renewables options are safe, easy and cost-effective!The article is very timely and reminder to falling costs, never before has been a thought ecosystem where climate resilience has been so diligently focussed at city planning level. Undoubtedly renewables are a critical part of the answer has positive long term implication even to the broader topic of climate resilience, i.e., apart from falling cost of renewables.